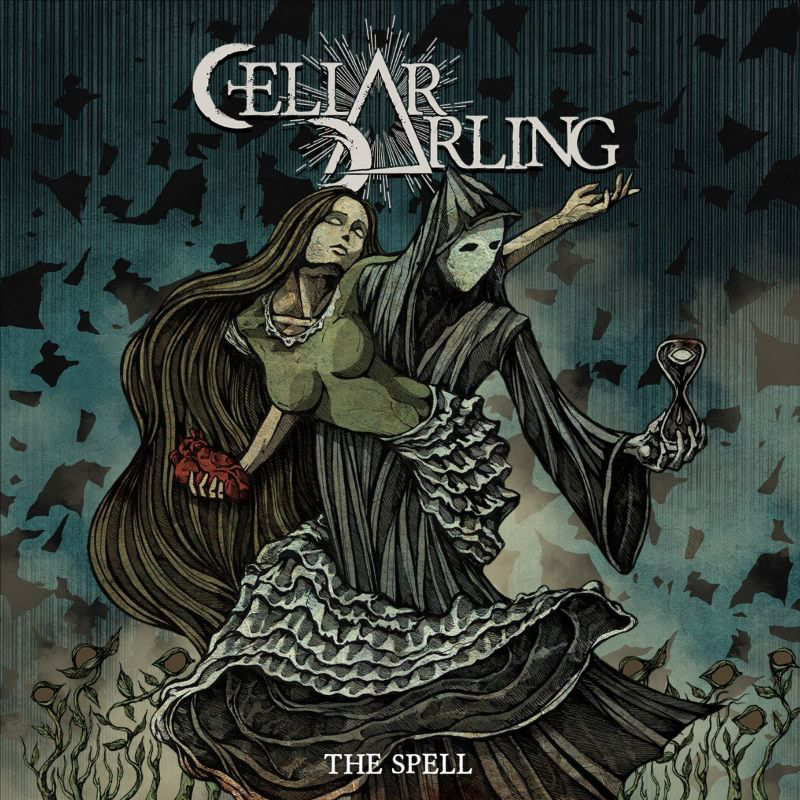 Home > NEWS > CELLAR DARLING – “The Spell” Out Now! New Concept Album The Spell Released Today! The day has come – the storytellers of CELLAR DARLING released their sophomore studio album The Spell and carry you away into the tale of an unnamed girl who is birthed into a world that is full of pain, damaged and debilitated by the human beings that inhabit it. We follow her as she searches for meaning in life, when suddenly she meets and falls in love with death. This haunting concept album sees the band taking a turn towards heavy progressive rock while still not neglecting their folk roots. The band states: “Today we release The Spell – a concept album based on the old motif of ‘Death and the Maiden,’ but with our own unique story of a girl who falls in love with the personification of Death. For the first time we wrote music according to a lyrical concept, we let the words of the story guide our melodies and rhythms and fully immersed ourselves in this fictional world. Now we invite you to do the same – dream, interpret, make it your own.The Spell was written over a long period of time in various parts of the world. From the peaceful mountains in Switzerland to the busiest parts of New York City. We recorded the album in two parts, one in the Soundfarm Studios in Lucerne and the other at New Sound Studio with Tommy Vetterli who co-produced the album with Anna Murphy and mixed it.